One of the joys of modern travel is the chance to instantly share your trip photos and highlights with friends and fans online. 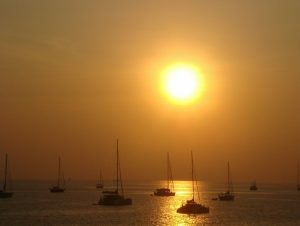 When you have a large following, your shared thoughts and images are certain to come under widespread scrutiny, as pop star Rihanna discovered while visiting the Thai island of Phuket in September 2013. When she uploaded a selfie with a cute slow loris on Instagram and shared it with her 40 million Twitter followers, it sparked the ire of animal lovers worldwide. Rihanna joined the ranks of many travellers to Thailand and other Southeast Asian countries who are unaware of the dark reality behind the exotic animal images they’re snapping. Animal encounters are a big attraction in Thailand, and magazines and social media sites are full of images of happy people posing with elephants, tigers, pythons, gibbons and, of course, the slow loris of Rihanna fame, a small primate with captivating large eyes. Cuddly slow lorises and gibbons can be seen every day on the streets and beaches of Phuket, carried by touts who let tourists take photos with the animals…for a fee. 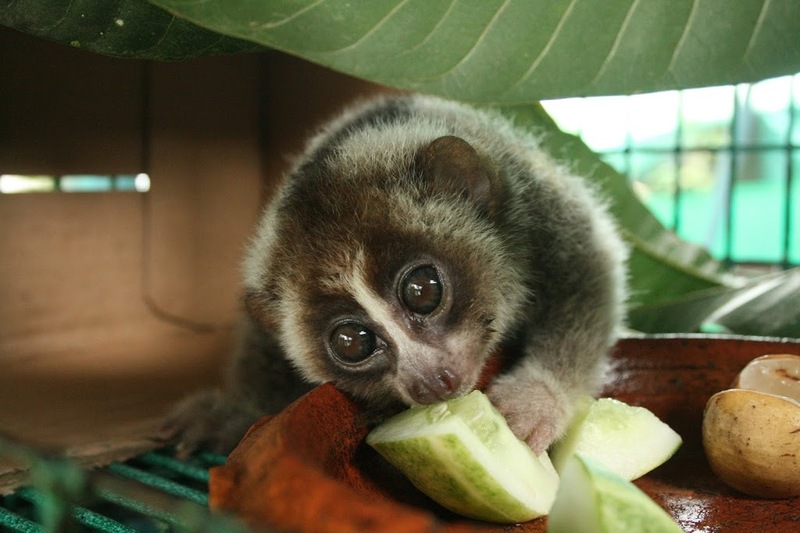 But the creatures being touted are far from loveable pets – gibbons and slow lorises are the victims of a vicious poaching and smuggling trade that have so drastically reduced their wild populations in Thailand that both are listed as highly endangered on CITES. It’s usually the babies of the species that are sought out by poachers, and due to their strong family ties, they’re often captured by first killing their protective mothers. And in captivity, gibbons and slow lorises are subject to ill treatment, abuse and exposure to diseases. The photo-prop trade has been banned for years but yet it still thrives as weak enforcement lets poachers and touts easily evade arrest, while Thailand’s growing tourism industry continues to bring in ever more customers. 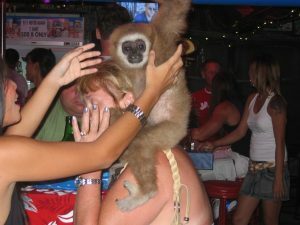 Lack of awareness is a big problem, and on that front the non-profit Gibbon Rehabilitation Project on Phuket has made strong efforts to both educate travellers on the dark side of animal photo props and in rescuing gibbons, slow lorises and other animals from the abusive trade. 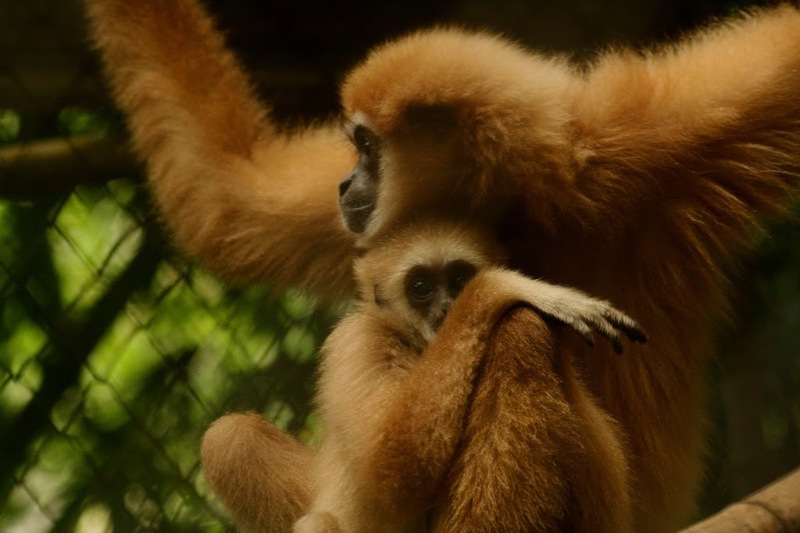 Since the GRP launched in 1992, 32 gibbons have been reintroduced and around half of them have adapted to life in the wild. Of these successfully rescued and released gibbons, 15 babies have been born wild so far. The best weapon for combating animal poaching and abuse is to ensure it is no longer profitable, which will only happen if tourists refuse to take photos or tours that support the trade. After Rihanna’s selfie fiasco, the GRP released an open letter that pointed out the harm such photos cause. While it’s not known if Rihanna ever got the message, it was a good opportunity to get the word out while the issue was making worldwide headlines. Positive steps have also been taken within the travel industry, most notably when STA Travel, a major youth-oriented travel company in the UK, announced in May 2014 that it would no longer book elephant riding and other tours deemed harmful to animals. In Thailand, the Gibbon Project urges people who witness photo props or other questionable animal tourism activities in action to report it to the Department of National Parks, and details how to do so on its website. We all love sharing our travel adventures, but it would be wise to think before you shoot, and understand before you upload, the true cost of capturing that moment with an enchanting animal. 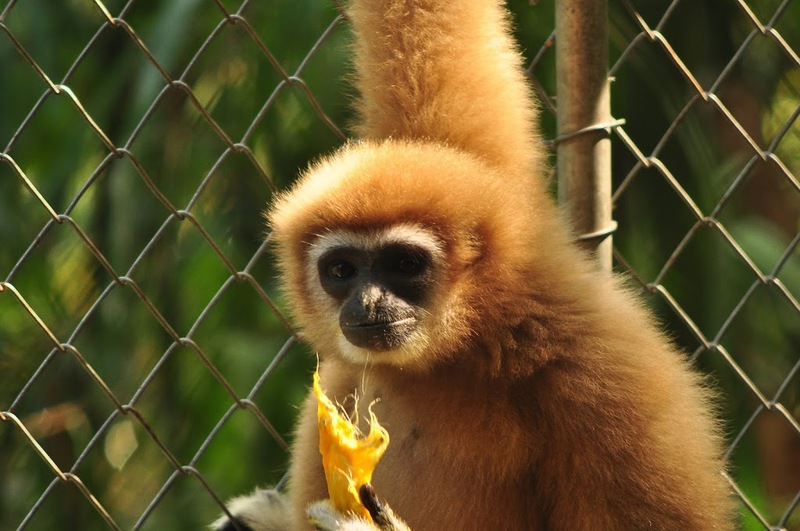 Many thanks to Petra Osterberg, Primatologist and Gibbon Rehabilitation Project volunteer, and Phamon Samphanthamit, GRP Manager, for supplying the photos that appear with this article. This article first appeared in the January 2015 issue of Jetstar Asia magazine. Republishing here knowing that a lot of awareness-raising work is yet to be done since a new, horrible elephant/snake show venue just opened around the corner from my house!